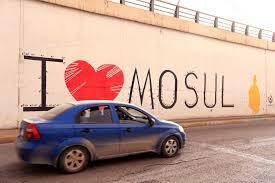 New Iraqi archbishop: Rebuilding of Mosul must include hearts and minds. BEIRUT – The new Chaldean Catholic archbishop of Mosul, Iraq, faces a challenge of rebuilding, but not just structurally. What is also needed, he said, is a rebuilding of minds, hearts, coexistence and peace.